For far too long, there has been a minimal smattering of people of color on television. Even with the success of primetime network series like FOX’s Empire and Sleepy Hollow, ABC’s Scandal, blackish, and How to Get Away with Murder, and the CW’s Jane the Virgin, television is still an overwhelmingly white medium. Often, people of color as individuals are tasked with being representative of a whole group when there are so few of us in prominent spaces. This is no less true for ABC’s Fresh off the Boat, the first sitcom to center on an Asian-American family since 1994’s All-American Girl, which lasted one season. Fresh off the Boat is a coming-of-age sitcom about Eddie Huang, a hip-hop obsessed seventh grader who’s attempting to find his place in the Orlando suburb his parents have relocated to. Based on a memoir of the same title, Fresh off the Boat’s second season has leveraged the sitcom model to explore issues of identity, heartbreak, and the burden of representation. 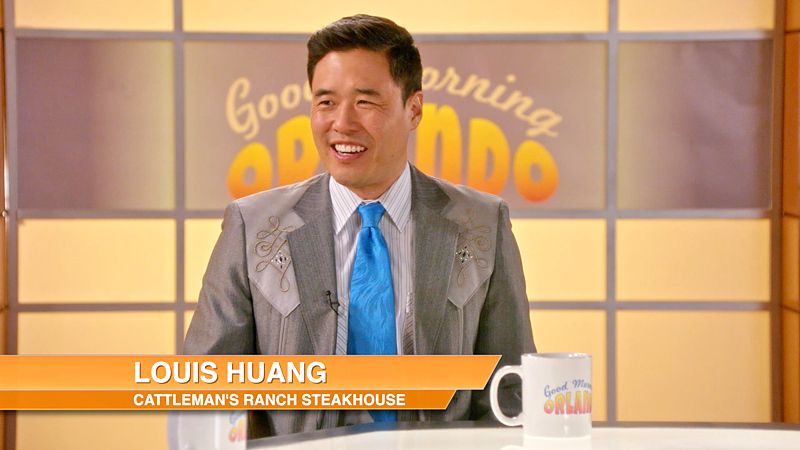 In the “Good Morning Orlando” episode of Fresh off the Boat, which aired this month, Eddie’s father, Louis, appears on a popular morning program to promote his restaurant, Cattleman’s Ranch Steakhouse. The anchors of Good Morning Orlando invite Louis on the show after overhearing him making impersonations in the restaurant. Louis thinks the anchors are interested in his business as well as his humor, but he spends his first appearance on the show impersonating Rocky Balboa and Donald Duck instead of attempting to draw new customers to Cattleman’s Ranch Steakhouse. Louis thinks he’s done well, but his wife, Jessica, disagrees. She lambasts him in a monologue worthy of awards consideration. Louis doesn’t understand Jessica’s anger and tells her, “Whatchu talkin’ ‘bout woman? You love my impressions,” in the voice of Arnold Jackson, a character on Diff’rent Strokes. Jessica’s not amused and continues to criticize Louis. “Not on television. Name one Chinese person on TV,” she challenges Louis. He still doesn’t understand, so Jessica explains further. Jessica then tells Louis he reminded her of Long Duk Dong, a character in Sixteen Candles, who is a caricature of Chinese-American culture. Unfortunately, the Long Duk Dong trope has been the prototype for Chinese characters in American media. Jessica’s insult causes Louis to flashback to a moment when his white friends encouraged him to use Long Duk Dong’s exaggerated accent to hail a cab. Their son, Evan, reinforces Jessica’s point when he tells Louis that his appearance on Good Morning Orlando was hurtful. Louis’ answer makes the anchors uncomfortable and doesn’t please his wife. Jessica tells him he must strike a balance between being humorous and being serious. “Well, now everybody thinks Chinese people have no sense of humor!” Jessica explains. In his final appearance on Good Morning Orlando, Louis promotes his business and offers a humorous impersonation. He also earns the approval of his wife and children. Yet, Louis recognizes that he, alone, can’t be representative of Chinese-American culture. “One person can’t be everything,” he says to Jessica. The “Good Morning Orlando” episode of Fresh off the Boat uses Louis’ dilemma as social commentary about the show itself. A singular television show or character can’t be a symbol for an entire culture. Yet, Fresh off the Boat is burdened with representing all Chinese-Americans because it is the only show that offers a dimensional Taiwanese family who don’t serve as peripheral characters. However, Chinese-American culture isn’t monolithic. There are numerous ways for a Chinese-American to perform aspects of their culture, and one show can’t offer anything more than an essentialist perspective. Louis’ realization about representation in the “Good Morning Orlando” episode addresses the criticisms of Huang, Yi, and others who don’t see the value in Fresh off the Boat. Essentially, Louis explains that Fresh off the Boat isn’t responsible for reversing every distorted media image of Chinese-Americans. Like series that feature white families, Fresh off the Boat is entitled to flaws. Fresh off the Boat is subversive. Like Jane the Virgin and blackish, Fresh off the Boat refuses to retreat from certain essentialist elements of Chinese-American culture. For example, Eddie loves hip-hop, but his mother still cooks traditional Chinese meals, regardless of her eldest son’s complaints. For every Jessica who chooses to maintain tradition in her home, there are Chinese mothers who assimilate. Neither is wrong. Fresh off the Boat shows audiences that having multiple representations is more important than attempting to erase offensive ones. This particular episode also places Fresh off the Boat in the crop of bold sitcoms, like blackish, that uses the sitcom format to discuss difficult racial issues. 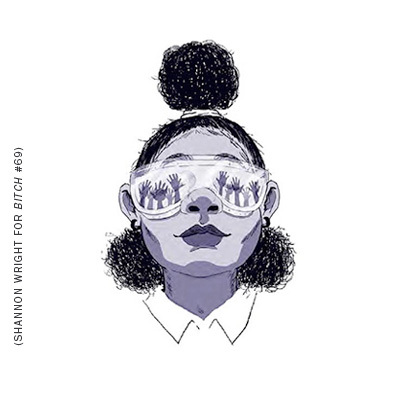 The season two premiere of blackish tangled with the “n-word.” Dre, the narrator and main character of the show, was struggling with whether it is acceptable for African-Americans to continue using the “n-word” while also criticizing whites for using it. It was a difficult conversation that made audiences uncomfortable, but the episode still drew 11 million viewers. In a similar vein, Fresh off the Boat earned a full second season after “Good Morning Orlando” aired. The success of Fresh off the Boat should encourage television networks to air series that feature Asian-American actors in dimensional roles that illuminate their culture, offer engaging plotlines, and showcase their acting chops. Discussing the burden of representation on a successful sitcom like Fresh off the Boat proves the importance of this series and others like it. Without it, we might never have challenging conversations outside of the privacy of our dinner tables. That, alone, makes watching Fresh off the Boat worth it.